AS offensive bombardment against insurgents in the North-east Nigeria heightened, Chief of Air Staff, Air Marshal Sadique Baba Abubakar, has identified robust welfare system for personnel of Nigerian Air Force to fast-track end of insurgency in the country. 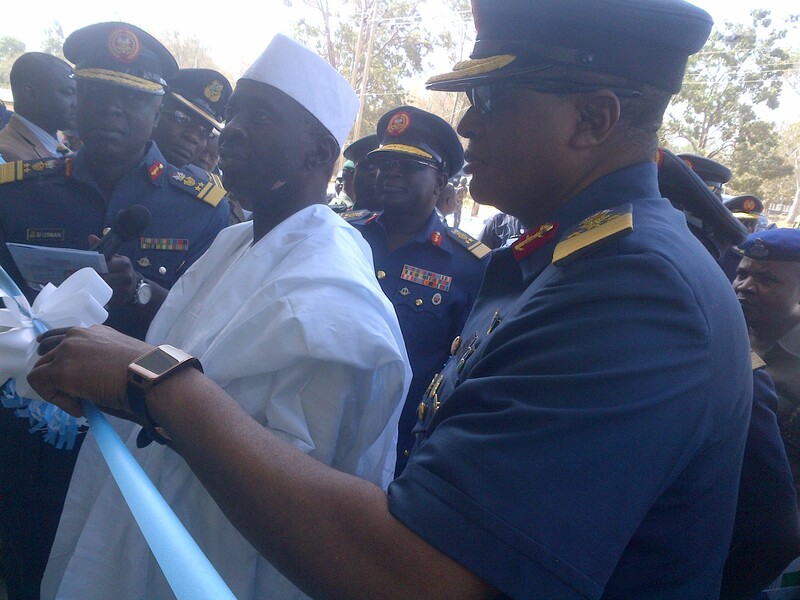 The Air Force boss stated this while commissioning fleet-of-projects which include junior and senior cadet hostel facilities, CEED classroom at AFIT, extended military air field runway, 301 control tower among others in kaduna yesterday. Though, AM Abubakar reiterated the commitment of President Muhammadu Buhari led Federal Government’s commitment to providing the required highly trained and technically sound manpower to tackle crime, but harped on good welfare package for the NAF personnel who are in battlefront in North-east and other operational areas in the country. According to him, “the need to create a conducive environment for the personnel as a motivation to discharge their duties effectively and efficiently, informed our decision to embark on welfare programmes and projects across the length and breadth of the NAF in the country. “Our great nation is passing through dire security challenges which are complex in nature and do not only require highly trained and technically sound manpower to tackle, but also the emplacement of a robust welfare system to motivate the personnel involved in resolving them. “It is important to add that we are working in direction of President Buhari that all service chiefs must take the welfare of their staffs very seriously. The projects are the brain work of the current leadership of NAF; the projects are initiated, designed and built by men of Airforce,” added the CAS. Corroborating this, Kaduna State Governor, Malam Nasir Ahmed el-Rufai, who commissioned the projects said, the fight against insurgency and terrorism is a joint responsibility, hence the need for all hands to be on deck. Represented by his Deputy, Arch Bala Bantex, el-Rufai was optimistic that the dastardly bombings the country is currently faced with is ephemeral, applauding the NAF for her contribution and leading role in operation Sharan-Daji, an operation aimed at degrade cattle rustling in the North-west.